Responding to each child's individual needs in a warm, respectful and sensitive way that promotes attachment. Creative Curriculum: is a comprehensive, research-based curriculum that features exploration and discovery as a way of learning, enabling children to develop confidence, creativity, and lifelong critical thinking skills. Core Knowledge: provides comprehensive, content-rich learning. The curriculum is enriched with teacher guides, activity books, and other materials are available for Language Arts and History and Geography. We also use Saxon Math and Saxon Phonics along with this curriculum. Pinnacle: We have creative themes throughout the school year that touch on different learning styles of the children in our care. We provide homework help to the children after school as well and continue encourage the children to grow and learn. Our Summer Campers go on a field trip once a week to various places from bowling to riding on a horse. We go swimming once a week, art, science and a food project once a week also. 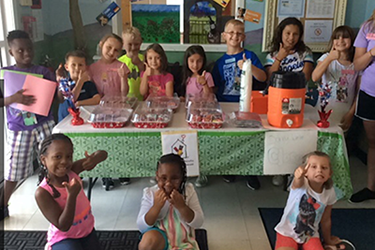 Our summer campers even found time to give back to the community. We raised over $200.00 dollars that went to Make a Wish and The Ronald McDonald House of Delaware. 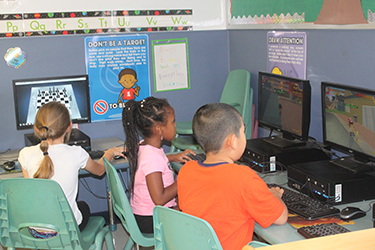 Our Preschool, Pre-K and School Agers have access to the computer lab weekly. 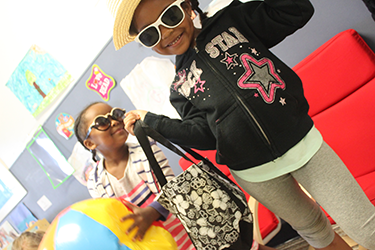 The children have the opportunity to explore and learn how to move around while on educational programs. Your child will never be stuck inside their classroom all day on a rainy or snowy day. We have an inside play area where the children and have the freedom to run around and get their sillys out. We use this room as an extension of our classrooms, the children enjoy jumping into the ball pit and tumbling on the foam mats. 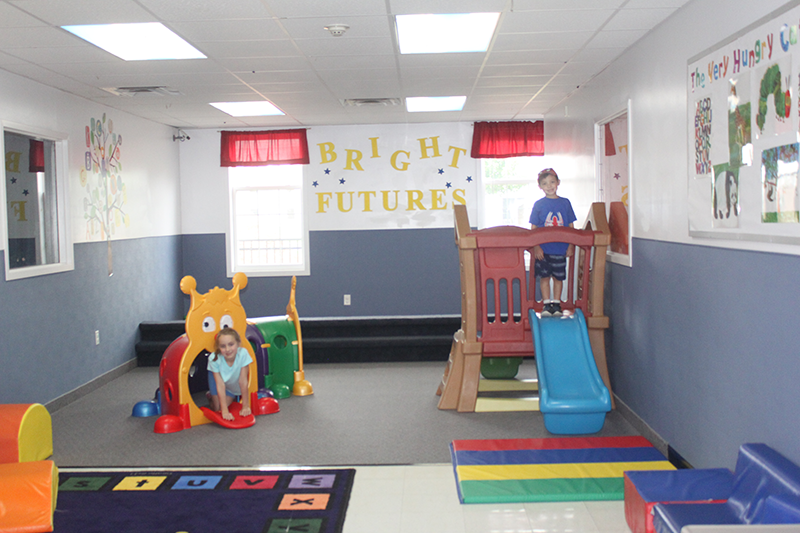 Each classroom has their own scheduled time so that they will not be interfering with another classrooms time to play. We believe outdoor play is very important to a child's physical and social development. Weather permitting all children go outside at least twice daily. 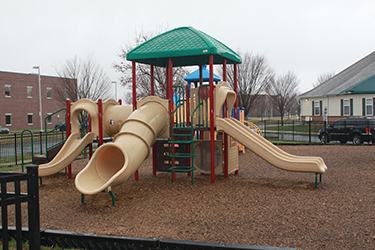 Free air is always good the children to have as they run, climb and explore on our spacious playgrounds. Our play areas are separated by age, one is for our younger children and the other is for our older children. Each classroom has their own scheduled time outside so that the classroom do not interfere with each other. 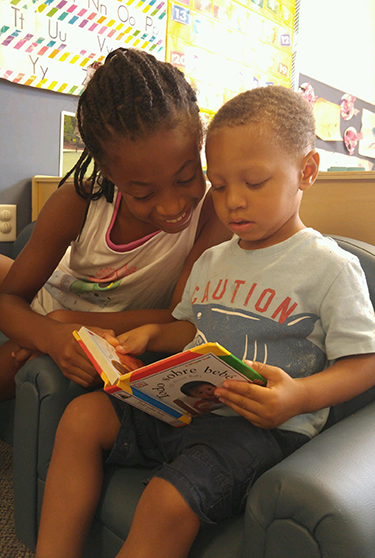 The foreign language program at Bright Futures provides children with a basic knowledge of Spanish as children learn common vocabulary words and cultural diversity. 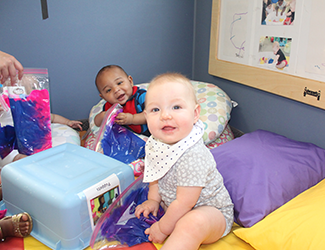 Recent studies indicate that the best time for a child to learn a second language is in the first five years. 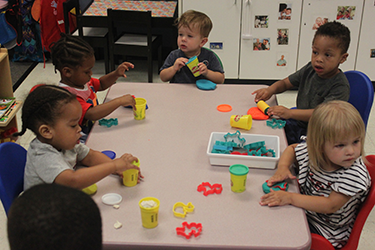 Children will begin learning simple Spanish such as their colors and numbers. Then we move on to days of the week, simple phrases and much more. Parents are amazed to hear their child saying something in Spanish at the most unexpected time. 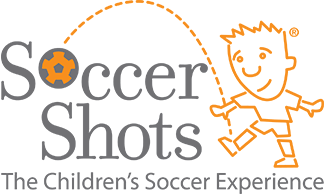 Soccer Shots is a program for designed 3-5 year old children (pre-kindergarten). We use music on a daily basis, the children love to move and explore the different kinds of music styles that are in the world today. 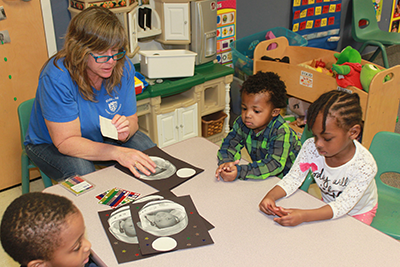 Besides CD's we use a program called "Kindermusik" which is a 8 week long program that teachings the children about patterns, rhymes, and following directions. 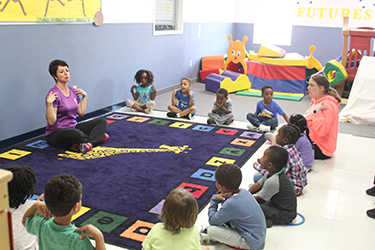 Jump N Fun is an exercise program for young children, ages 2-5, which promotes keeping children active while having lots of fun. Each class is an enjoyable experience that develops self-confidence and teamwork through fun and fitness. skipping, hopping, jumping, wiggling, marching and running.